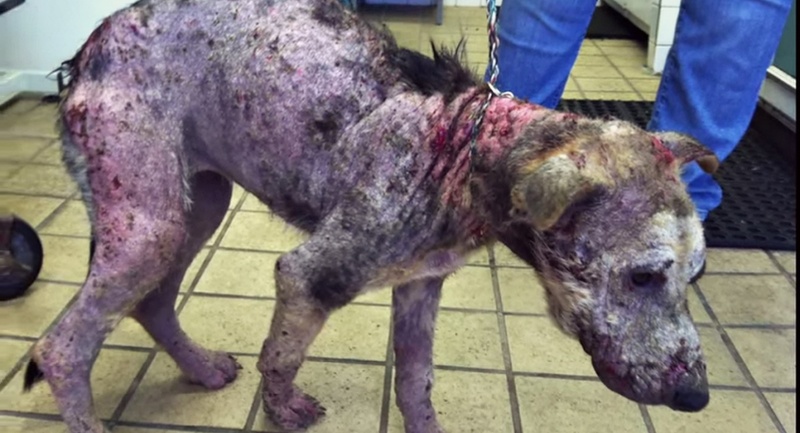 This Poor Dog Was a Living Corpse, But Her Magnificent Transformation Will Bring You to Tears! When Penelope had been found, it was hard to tell not only what breed was she, it was impossible to tell if she would live. Thankfully, the world is not without good people that make miracles happen. Penelope’s story is a great example of how love can change a life. The most incredible thing about this poor dog can be read in her eyes. After all the pain, suffering you can see hope in Penelope’s eyes. Hope and an immense need of love. Not only humans want to love and be loved. Dogs are naturally affectionate, our love keeps them alive. You can become that loved one for a very special dog. Please, consider adoption. Don’t forget to click LIKE and SHARE.